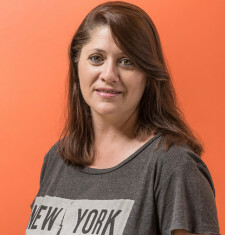 Chantal Froneman has worked in and around urban issues for more than 25 years in her work with the eThekwini Municipality and later as Asiye eTafuleni’s (AeT) Administrator. Chantal first worked in eThekwini’s City Police and City Health departments. She became involved with issues around urban informality and informal work through her later work on the City’s iTRUMP program, in Warwick Junction. Chantal has been a core team member at AeT from its start in 2008.